This has been the strangest week. A holiday in the middle of the week always throws me. It takes a full day for it not to feel like Monday and then it is Friday again. Lucky for us, there are so many fun things to do this weekend in Chattanooga. From live music to kayak trips, here are your best bets. As I mentioned before, Chattanooga loves a block party. The first Thursday nights of the month, you can head to Station Street for bluegrass.The newest Friday block party is Out on 8th. With appetizers, cocktails, beer, coffee and treats from all the West Village restaurants, along with live acoustic music, this is a great after work happy hour. Then you can stroll over and catch the bands at Nightfall. 5-8 pm. W 8th Street between Pine and Chestnut. Free to attend, food and beverages for purchase. Kayak is one of the best ways to be on the water in Chattanooga. 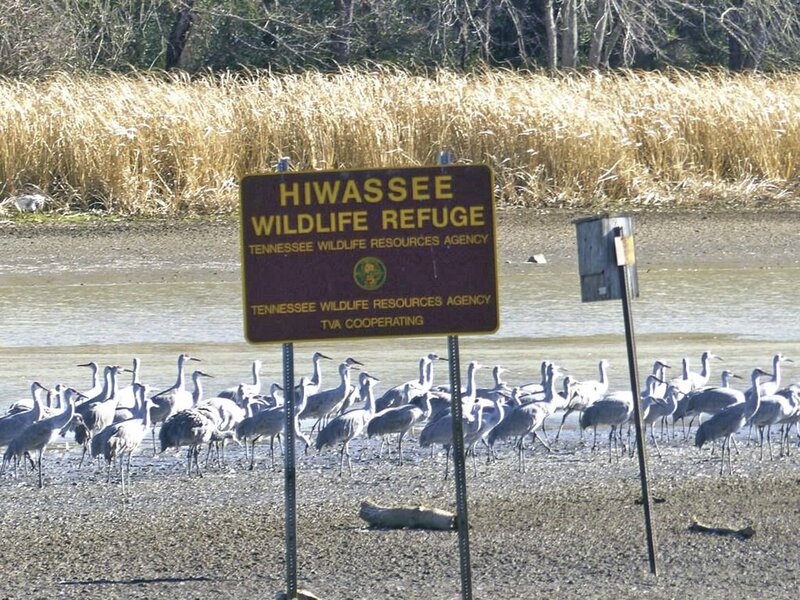 Sunday, you can join Outdoor Chattanooga and kayak around the perimeter of the 400-acre Hiwassee Island on a guided wildlife tour. The refuge is popular for Sandhill cranes, bald eagles, herons and other birds. All equipment and transportation from Chattanooga is included in the price Previous kayak experience is helpful, but not necessary to participate. Appropriate for ages 16 and up when accompanied by a participating adult. Cost: $45 and includes guides, equipment, and transportation from Greenway Farm or meet in Dayton.Registration and payment is required in advance. Call 423-643-6888 or email info@outdoorchattanooga.com to register or learn more. Get your 80’s music fix at Songbirds South with The Breakfast Club. This is the longest running 80’s tribute band in the country and they draw a huge crowd in Chattanooga. Playing songs from bands ranging from Van Halen to Beastie Boys, this is a super fun show. Tickets can be bought at the Songbirds ticket office or online. Saturday. 9 pm. Tickets $15. 35 Station Street. We hope you enjoy your weekend in Chattanooga. Looking for more fun things to do? Give us a call. We can help you plan your weekend!